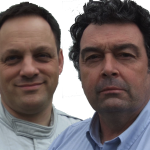 Coverage of the first endurance race of the New Year, with commentary from John Hindhaugh, Jonny Palmer, Paul Truswell and Graham Goodwin. Nick Daman, Joe Bradley and Bruce Jones are in the pits. Commentary on the 2018 edition of the Hankook 24 hours ..
Coverage of the Hankook 24 hours of Dubai. Commentary from ..
A special edition of the programme from Dubai. Guests include ..
Commentary from John Hindhaugh and Jim Roller, with Paul Truswell. .. 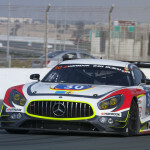 The 2013 Dubai 24 hours. With John Hindhaugh, Paul Truswell ..
John Hindhaugh looks ahead to the 2012 running of the ..